Call of Duty: Ghosts is an upcoming first-person shooter video game to be the tenth main installment in the Call of duty series, and the sixth developed by Infinity Ward. The game is to be released for Microsoft Windows,PlayStation 3, Wii U and Xbox 360 on November 5, 2013. 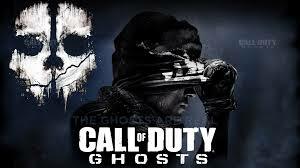 Ghosts will also be the first Call of Duty game available on the PlayStation 4 and Xbox one, at a later date. As confirmed in the Behind the Scenes video released by Call of Duty, the multiplayer in Call of Duty: Ghosts will be unlike that in any previous Call of Duty to date. The developers have confirmed character customization, dynamic maps, and many new players movements such as sliding, leaning around corners, and better interaction with the environment. Mark Rubin said that there will not be a "lean button", like it was in previous games, but instead, approaching the wall, looking at the edge of wall and aiming down the sights will lean the player out.Players that have pre-ordered Ghosts via GameStop will receive a bonus map, called Free Fall. Free Fall will take place in a ruined skyscraper that continues to fall as the match progresses. Every drop will create shock waves that cause further destruction, altering paths and causing the map to change in real-time. Call of Duty: Ghosts takes place following a catastrophic event that changed the global balance of powers in the world. As a result, the United States is no longer recognized as a superpower Ten years after the event, an unseen enemy emerges as a threat, but the remnants of US special operation forces from every branch come together to create an elite group of troops known as the "Ghosts", who are determined to eradicate all threats to protect the weak and the remains of America. On February 7, 2013, Activision confirmed that a new Call of Duty game was in development and would be released Q4, 2013. The publisher expects poorer performance than previous entry Call of duty:Black ops 2 on 7th generation consoles (Xbox 360 and PS3) due to the transition to next-generation consoles. The series starts a new subseries with Ghosts to coincide with the launch of eighth generation consoles.entering the market. The game will debut an engine built by the developer, originally described as a new engine, but later clarified to be the same engine as used in previous games with "significant" upgrades. On April 29, 2013, the official Call of Duty website was updated with a social media mosaic that filled up every time a user logged into the site via Twitter or Facebook. The next day, the mosaic was completed and the picture showed a skull along the text "the Ghosts are real." Some details about Ghosts leaked prior, especially when Tesco pulled the listing of the game for the PlayStation 3 after it was put up accidentally. Several other retailers, including Target, listed it for PlayStation 3, Xbox 3, and PC. The live-action teaser trailer for Ghosts, titled "Masked Warriors", features glimpses of people wearing historical battle attire, among them one of a group of soldiers putting on the skull mask shown on the box art. It was released on May 1, 2013. Ghosts appeared at the "Xbox Reveal" event on May 21, 2013. Then they released a reveal trailer showing parts of the game's single-player mode. For further information visit the official site.